This tour will be available for private group tours in 2018. We will also schedule a few public dates in the summer of 2018. Contact us to be notified of future dates, if you have an unused voucher. You may also wish to upgrade your unused Beer & Chocolate gift voucher to our full-day tour @ 20% off the difference. Email us for assistance. 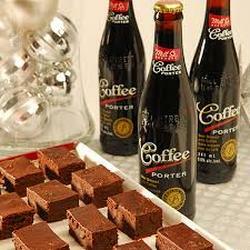 The Toronto Beer & Chocolate Tour is our only weekday walking tour. Beer and chocolate are a bitter sweet love affair, and we are delighted to offer you a taste! Home to two craft breweries and the famous SOMA chocolate maker, the historic Distillery District is the perfect setting for our exploration. Join us as we discover the jewels in the Toronto crown that makes this city such a wonderful place to enjoy! View Detailed Itinerary of the Toronto Beer & Chocolate Tour. 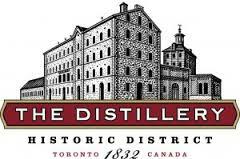 This delicious all-inclusive tour begins with a historical walk-about the Distillery District, once the largest distillery in the world. We'll visit IZUMI Sake Brewery, learn about the tradition, the brewing process and a tutored tasting of several styles of Sake. Then we head to SOMA Chocolatemaker to hear about the history of chocolate making and enjoy the sinful "Chocolate Shot". Our last stop will be a visit to the Mill Street Beer Hall, with tutored tasting of 4 styles of beer, a fresh pretzel and a sample of Mills Street's traditional bier schnapps. All guided by our certified fun and knowledgeable beer & history experts. $64.95 (plus tax) All beer, sake & chocolate tastings plus soft pretzel included. Contact us to arrange a private group tour.